Compared to vinyl, clad wood and wood windows, fiberglass windows hold a few important advantages, but despite that, they are still a niche item, representing just 2% of the replacement windows market. Two of the most significant reasons for their lack of popularity include price and homeowner unfamiliarity. Many of the people who do consider installing these types of windows in their homes say that their cost makes it hard for the windows to ever be a solid rival to vinyl or wood replacement windows in terms of market share. The difference in price though is not that great when compared side by side to clad wood windows, but there are cases when the price can be less or on par with them. On the other hand, compared to vinyl windows, the price difference can be as little as thirty percent or as much as fifty percent higher, based on the window options and quality. In the future though, the popularity of fiberglass windows will surge and there is a good chance they’re going to become mainstream. If you plan on installing fiberglass windows in a property where achieving an organic look is imperative, then you may want to forget about it. However, given the fact fiberglass replacement windows hold some important advantages compared to other types out there, does that mean they deserve the high asking price? According to the majority of experts, if you can afford it and you love these types of windows, then the answer is yes. One thing that makes fiberglass windows a great choice is not only their lack of maintenance, but also their incredible durability. Not only are they resistant to moisture and temperature extremes, but they’re also not going to splinter or rust. According to Lee Wallender from About dot com, fiberglass replacement windows have a lifespan that is about thirty eight percent longer compared to vinyl replacement windows. Since fiberglass generally is composed of spun glass fibers, it’s going to react to major temperature changes exactly like glass panes would in a window. Because of that, the whole window system is more airtight which greatly prevents air leakage and increases energy efficiency. Due to the structural stability and strength of fiberglass, these windows are generally a great choice for being used as framing material for large openings, but also triple framed windows. Compared to any other window frame materials out there, foam filled fiberglass boasts the best insulation value. However, in the majority of locations, hollow core fiberglass frames also have good insulation capabilities. While foam filled cores can bring a few advantages to the table for those living in harsh climates, at the end of the day it’s the kind of glass you choose that dramatically impacts comfort and energy savings. Not many types of windows out there are paintable, but that’s certainly untrue when it comes to fiberglass. For most people, this is good news and that’s because the majority of factory color selections are limited. On some lines, a faux wood veneer or stainable wood on the interior is available if you’re the type who loves the beautiful and natural look of wood in your room. According to the AAMA, fiberglass is an eco-friendly material that is very durable and will last for a very long time. 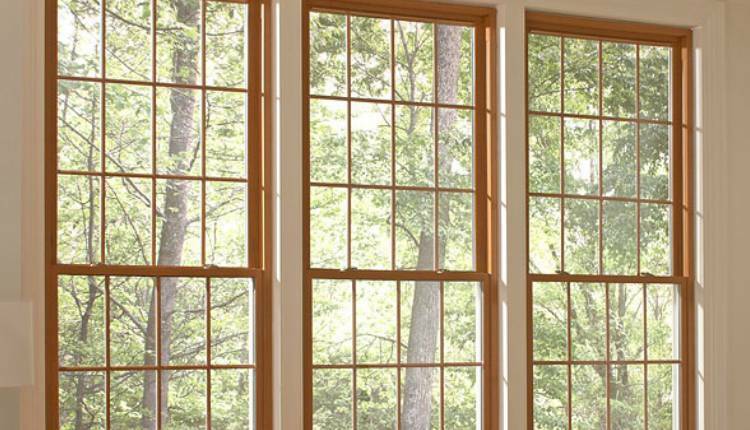 Just like wood replacement windows, windows made of fiberglass are built using a renewable resource (i.e. sand). While the durability of fiberglass makes it a bit harder to recycle it, this is however a product that is safe to dispose of and handle. This means that when you choose to buy fiberglass replacement windows, you’re going to get the same options as other types of replacement windows out there, including upscale window hardware, high-efficiency glass, fancy inserts and grills and so forth. Of course, these come at a price. While in the past only a handful of manufacturers offered fiberglass replacement windows for sale, these days you can find them available from a wide range of them, including Pella, Marvin, Milgard and many others. In terms of size, the windows are usually sold in stock sizes, but that doesn’t mean that you can’t also get them in a custom size. All you have to do is make sure that you look for them in all the right places and you’re certainly going to find them in the size you require. What’s left is aluminum window. However, they don’t perform that well in all geographical locations, contact us, window installers Chicago and we’ll share our opinion with you.